Employing over 35 BICSI and Manufacturer Certified Professionals and RCDD's on Staff, The DataCom Group is one of the largest Technology Firms in the Mid West. Headquartered in the Lansing suburb of Holt, we are local to most Major Metro Areas in Michigan. The DataCom Group provides installations, repairs and service involving anything from moves, adds and changes & DeMarc Extensions to large campus wide/multi floor installations. 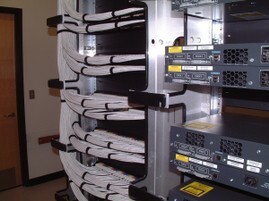 Call 888-505-DATA to schedule your next installation or move. For Sales, Service and Support, feel free to contact us at any of the following addresses or numbers.